Yesterday, Nick Pang over at the Natural Running Center had a great post on the runScribe running kinematics monitor. To me, the great takeaway from the article was the specific data points that we should be interested in when I’m evaluating running shoes. This is a mini-post sharing what I learned– and an idea about how to make this data even more awesome and usable. To get down to brass tacks, Nick did a mini-test of eight different running shoes using runScribe. Thankfully, someone other than me gets to claim the title of being the “Imelda Marcos of Running Shoes” as Nick’s collection makes my stable of four running shoes look pretty paltry. 😉 Nevertheless, lots of shoes means lots of data– and lots of cool pictures of runScribe data. In all this, one little sentence in the article caught my attention. For runners, evaluate Impact Gs, Braking Gs, and Pronation characteristics in different shoes and terrains to determine which shoes best suit different scenarios. Of course, I’m excited about runScribe and can’t wait to dig into the metrics, pour over my running data, and plot out how to improve my running and avoid injuries. From looking at the reviews so far, I can do that and more with the runScribe online service. But then there’s the iOS and Android app used to transmit the data to the service. When I’m at the running store comparing different running shoes, I likely won’t have access to all of the functionality of the online service– or at least it will be difficult to understand as I’m comparing a half-dozen running shoes. But I do have easy access to my phone. What would be really cool is a “shoe review” mode in the app. I’m picturing a mode outside of the normal workout mode in which I could go for a short controlled run in each running shoe, upload the data, and repeat for all of the different shoes that I’m considering buying. Then, if I could get a quick snapshot on my iPhone comparing the critical data points above for each shoe, I would be in heaven. All I would have to do is clip my runScribe onto each candidate, take a quick run, and then use runScribe to help me make a much more informed decision about which shoes serves my running needs best. There’s another scenario for which a separate “shoe review” mode makes a lot of sense– getting very accurate data on shoe breakdown. 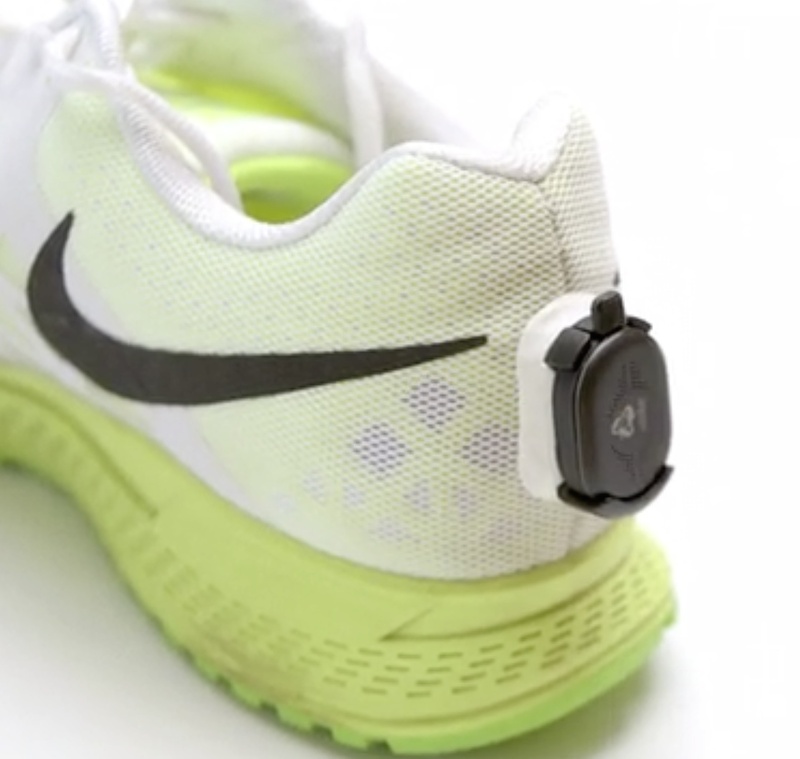 It’s one thing to get a general sense of how our running shoes are breaking down, but it’s another thing to get specific data from a controlled environment. For instance, if my impact G’s are increasing, it may have to do with a midsole that is breaking down or it might come from changing my running route to include a lot more concrete. But, if I could pop into “shoe review” once every two weeks and control the other variables (run each test at the gym, at a same pace, and on the same type of treadmill), I’m likely to get very accurate data that is specific to my shoes. And by comparing this data point against snapshots from the same shoe six months ago, I’d have a great idea about the condition of my shoes. This kind of information is obviously critical for preventing injuries. But don’t take my word for it. Check out Nick’s article about the runScribe (which includes a nice shot of the cool clip-on holder that would be perfect for my visits to the running shoe store). Then check out running guru Steve Magness’s awesome review. After that, get on over to the KickStarter site and pick one up by backing their project. I can’t wait to get ahold of one of these devices for myself. I think it will be a great help for me. And by looking at real-life data from hundreds (thousands? millions?) of runners and identifying patterns, I’m thinking that technology like this may fundamentally change the sport of running for the better. This kind of data has never been available before– it’s exciting to see what secret patterns it reveals.